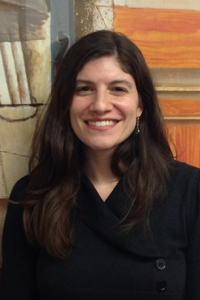 Joanna M. Keel, M.Ed., is a doctoral student in Special Education at University of Illinois at Chicago. Ms. Keel’s research interest is supporting urban, low-income, culturally and linguistically diverse students with high-incidence disabilities and their families in secondary transition and self-determination. Certified as a Learning Behavior Specialist I, Ms. Keel has over ten years of experience in secondary transition for students with disabilities in a wide rage of environments such as New Delhi, India, Hinsdale, IL, and the City of Chicago. Ms. Keel has co-created and taught graduate level coursework in the area secondary transition. In conjunction with teaching, Ms. Keel has assisted in the design and evaluation of an advanced teacher preparation program aimed at certifying special educators as transition specialists. Additionally, Ms. Keel has worked as a project coordinator and graduate research assistant on several research grants including projects funded by Institute of Education Sciences, National Institute of Mental Health, and The U. S. Department of Education’s Office of Special Education Programs.